A more satisfying dining experience starts with being informed! I almost never get tired of cooking at home, but the occasional trip to a restaurant is definitely a welcomed treat. I tend to favour chef-owned spots where I know the kitchen is committed to incorporating top quality local, seasonal and sustainable ingredients into dishes made with care and attention. Fortunately, we are blessed with quite a number of spots like this in Ottawa. 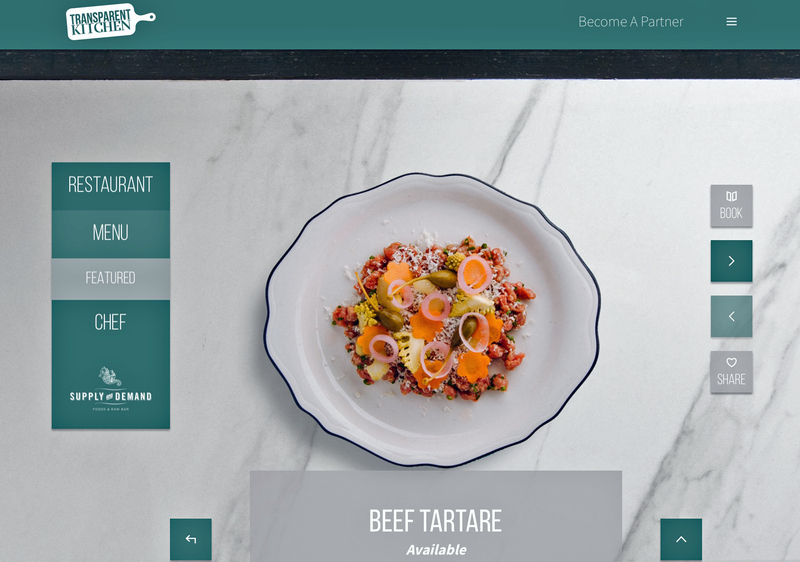 Now, there’s an innovative project called Transparent Kitchen which is helping to educate diners on the fine work that’s happening in restaurants in a number of Ontario cities, including Ottawa. Fraser decided that what was needed was a way to make the dining experience more informed and interactive. He chose to make it his mission to help people become more aware of the work done by quality independent restaurants, to increase knowledge of and awareness of growers and suppliers and, of equal importance, share the storytelling that is part of a great food experience. 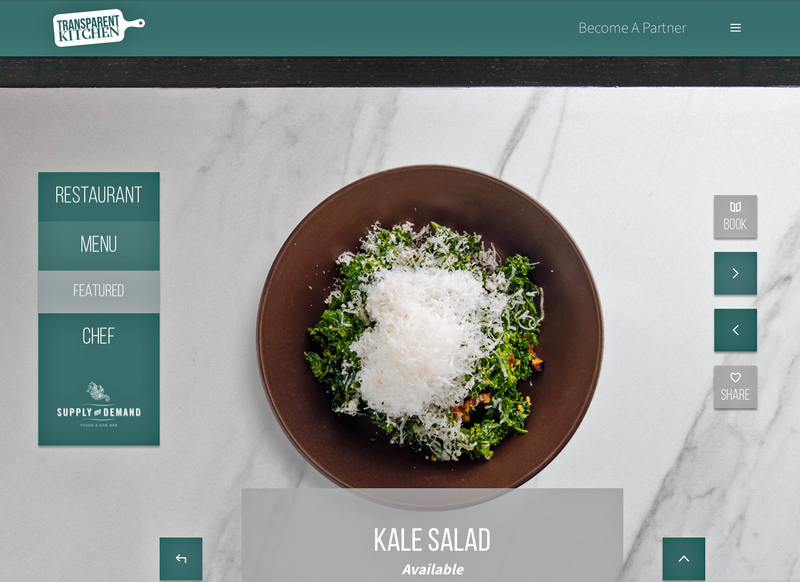 Transparent Kitchen aims to give diners as much information as possible about a restaurant, based on objective criteria, not subjective reviews. The dishes I prepared (based on what I had eaten at Supply and Demand) included kale salad with caper vinaigrette, tuna crudo with truffle oil vinaigrette, beef tartare (a dish I adore but had never made at home before) and seared duck breast with celery root puree. (I’ll add links to each recipe as soon as it gets posted online.) While my interpretations differ slightly from the Supply and Demand versions, I can confirm that each dish is exceptionally tasty and well worth any home cook’s time and money. This experiment confirmed my long-held belief that good food starts with good ingredients, whether you’re a professional chef or an enthusiastic amateur. 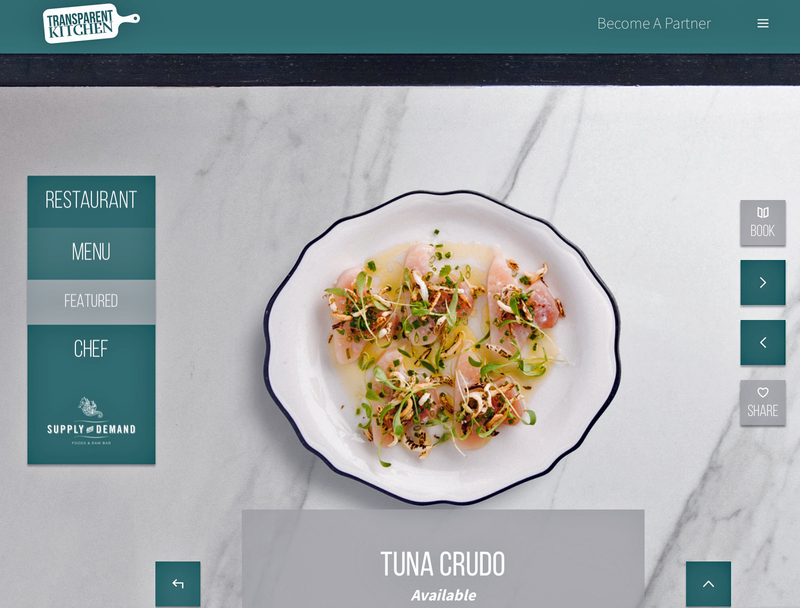 I’ll definitely be making Transparent Kitchen the first place I look when I’m eager to make a restaurant reservation, particularly if I’m in an unfamiliar city that they feature on their site. I’ll also be very keen to test out their online shopping portal when it comes online later this year. I cannot wait to see how far Transparent Kitchen is able to extend its platform into other cities as it strives to build a community of like-minded people who appreciate the farm to table movement and want to know where their food comes from. Disclaimer: To prepare this post, I enjoyed a complimentary meal at Supply and Demand but opinions expressed are, as always, my own. This entry was posted in adventure, Restaurants and tagged cook better food at home, food, good food, how to find a good restaurant, local food, Ottawa, Paula Roy, recreating restaurant recipes, Supply and Demand, supporting local restaurants, sustainable food, Transparent Kitchen. Bookmark the permalink. I’ll be trying this salad very soon. I too love beef tartare and look forward to the recipe. I’m still enjoying the Unrefined Olive’s balsamics with vodka!